With the continued rise and popularity of the Internet of Things, there is no going back anymore. Big data is the hottest trend that is here to stay and you can expect more data to accumulate in no time since the IoT has made it possible for us to integrate technology to just about every aspect of our lives. But what are we supposed to do with all these data? That’s where infrastructures like Data Warehouses come in handy. We somehow need to make sense of all the data circulating both on and off the web. There are popular platforms that offer this service, so you can benefit the most from big data. As the Internet of Things (IoT) starts invading the world around us, the stage is set for an ‘Analytics of Things’–a utopian world where big data analytics is not confined merely to solving business problems, but also upending the way business gets done. Data analytics is crucial in running and maintaining a business. You need to understand how people think and how to market your products properly to the right targets. However, what’s even more important is that you can save these data and have access to them whenever you need it. Data warehouses serve this purpose and allow entrepreneurs to make better and informed decisions in planning the direction the business will be taking. The market is big but data warehouses can capture the information you need and relevant to the success of your business, so make sure you do consider it early on. One example of how big data tools can complement a data warehouse is an alarm company with Internet-connected sensors in homes across the country. There would be little value (and huge expense) in storing each sensor response in a SQL data warehouse, but that data could be retained in cheap storage in a data lake environment and then aggregated for use in the data warehouse. For instance, the company could define combinations of sensor device events that constitute a person locking up a home and departing. That aggregated event could be stored in the data warehouse in a fact table that records arrivals and departures. 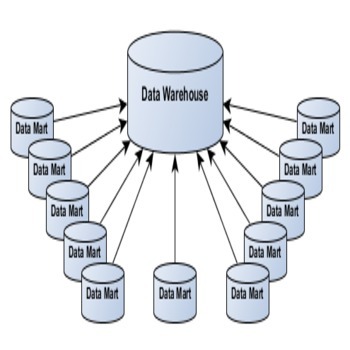 Data warehouses are very specific, meaning it collects and stores data from specific targets enabling you to streamline the data you save and analyze. For increased efficiency and productivity, you can observe the following four tips, which are to come up with fact tables that summarize and filter IoT data, combine historical data with live data, make use of data science models that are readily available for your use, and establish a device monitoring data. To make your life easier, just hire professionals who can do the job for you and jumpstart your business in the right direction. Technology can be scary at times but if you are well-guided and have an idea as to the path you are taking for your business, it becomes more bearable and the risks substantially lower. To ensure you can always have access to important data, your devices must always be in great shape. A broken device means a liability in your business and can lead to financial losses. Hard drives issues are some examples. When faced with a broken hard drive like https://www.harddriverecovery.org/seagate-data-recovery.html and https://www.harddriverecovery.org/raidcenter/raid-10-data-recovery.html, let the experts help you before you cause more damage to the initial injury.